Coincidentally, the film marks a second collaboration for Abhishek and Ronnie after the 2013 buddy-drama ‘Kai Po Che’ that had also featured Sushant in the lead alongside Rajkummar Rao and Amit Sadh. Abhishek mentioned that he is already prepping up to resume the Kedarnath shoot by the end of this month. 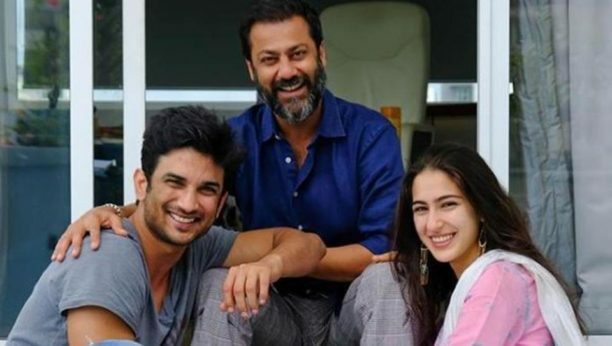 Kedarnath, which marks the acting debut of Amrita Singh and Saif Ali Khan’s daughter, Sara, opposite Sushant, is a love story set against the backdrop of the flash floods that wrecked the temple town in June 2013 and claimed over a hundred thousand lives. Sushant is also a part of another Ronnie Screwvala production, Abhishek Chaubey’s dacoit-drama Sonchiriya, that also features Bhumi Pednekar and Manoj Bajpayee. 15 queries in 0.570 seconds.